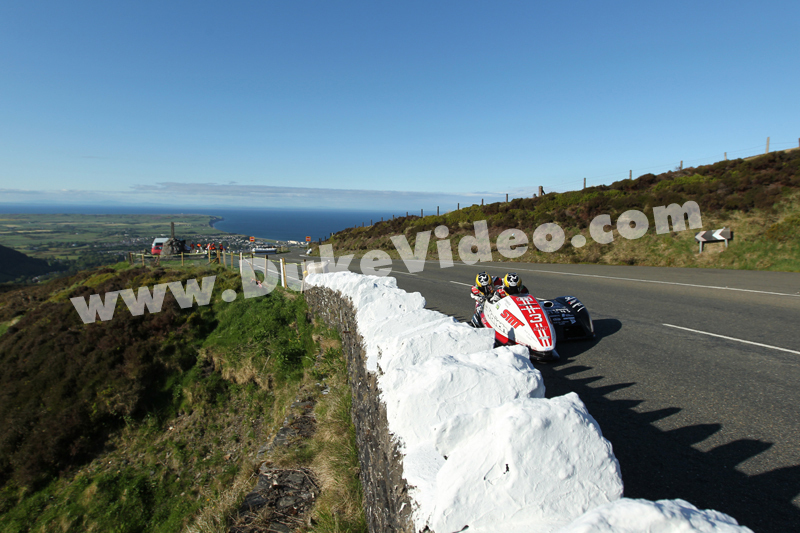 The late afternoon shadows chase the SMT Honda outfit of Sidecar World Champion Tim Reeves and his highly experienced passenger Dan Sayle during practices for TT 2013. It proved a successful campaign for the pairing with Tim becoming the first reigning World Champion to stand on a TT podium since his hero Jock Taylor achieved the feat with Benga Johansson in 1981. The victory also put Sayle on the top of the sidecar passengering table with eight wins in total - equalling the great Rick Long.